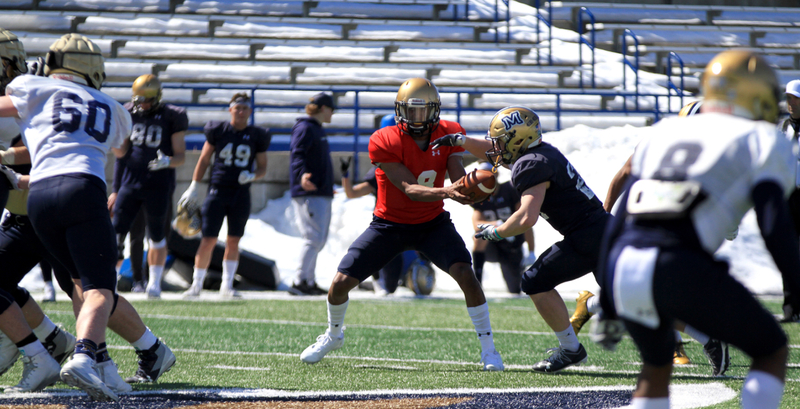 During two practices this week leading up to Montana State’s first spring scrimmage, the defense owned the day, particularly in the run game. 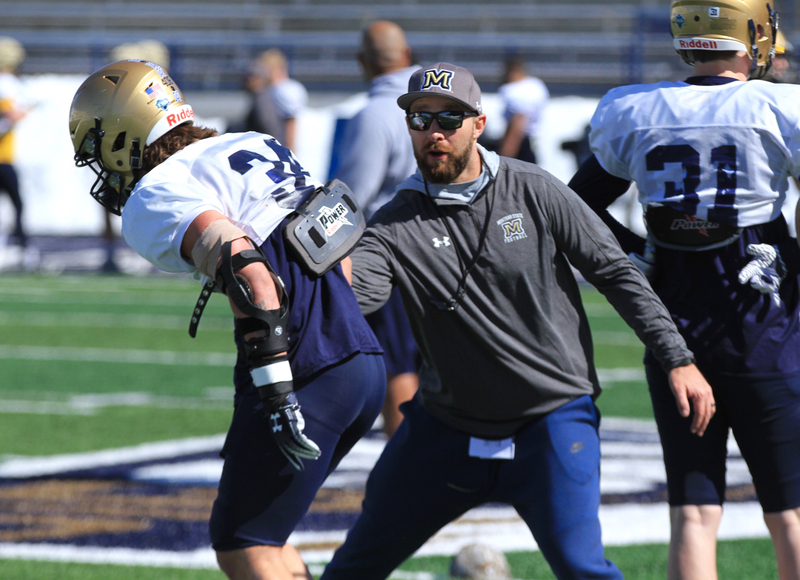 New linebackers coach Bobby Daly liked the performance of his young group in their first week back from spring break, particularly the physicality and aggressiveness of improving redshirt freshmen Nolan Askelson and Jory Choate. MSU head coach Jeff Choate pointed to the stout play of the Bobcat defensive line during Tuesday and Thursday’s practices. And the defensive coaches across the board believe Brayden Konkol has a chance to be an elite safety in his senior year. Paired with fellow senior Jahque Alleyne, the Big Sky Conference leader in interceptions in 2018, gives MSU perhaps the most talented safety pair in the league. On Saturday, the Montana State offense turned the tables. And Chris Murray looked like a flashback from 2017, putting his foot in the ground, bursting and making defenders look slow in their pursuit of the electric yet much maligned quarterback. 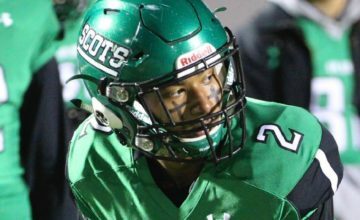 Murray, who sat out the 2018 season while trying to get his academics in order, is still grinding his way toward eligibility in the classroom. He has been limited so far during spring football. The Bobcats planned to start the first week of March, delayed the beginning until the second week of March and took the third week of this month off because of spring break. 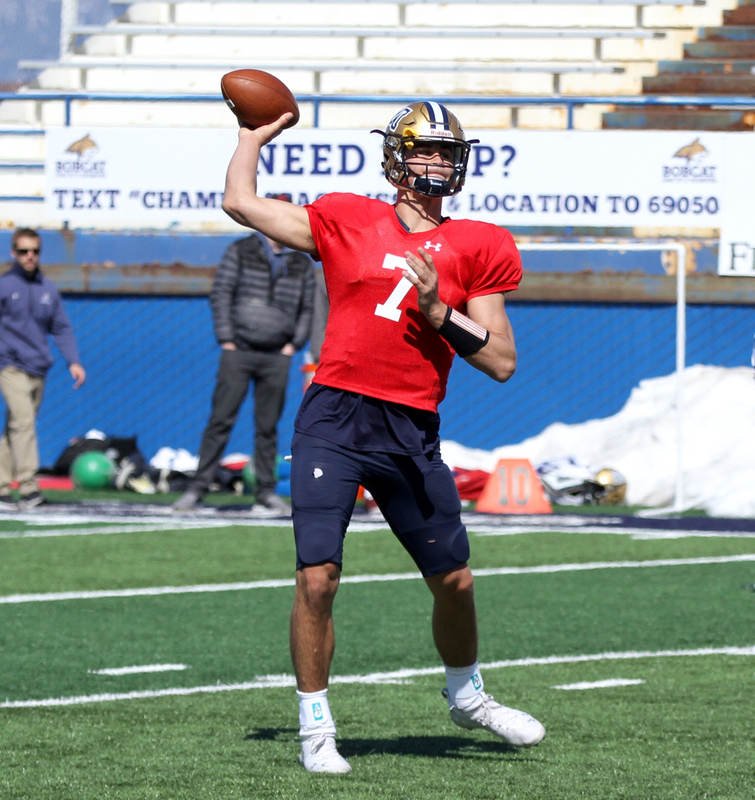 Saturday marked Murray’s first full live session back with the Bobcats since he led Montana State its second straight win over rival Montana. On more than one occasion, Murray pulled the football on read option plays and made Bobcat defenders look silly with his speed and elusiveness. “I don’t think you can catch that guy,” Daly, a former MSU All-American who returned to his alma mater earlier this year after spending the last six seasons at Idaho, muttered to defensive coordinator Kane Ioane on the defensive sideline after one particularly impressive Murray highlight run. “I’m glad he’s on our team,” Ioane, a former four-time All-American safety who spent 13 seasons as an assistant at MSU before serving the last two as an analyst at Washington, responded. 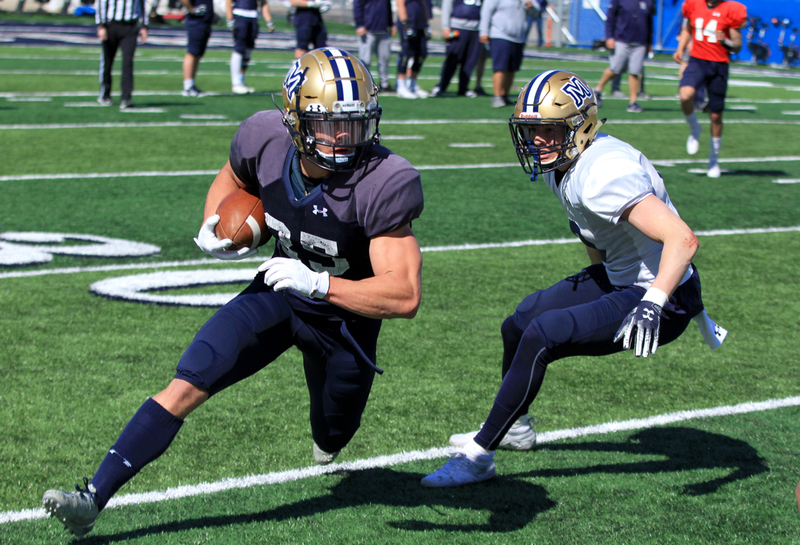 Murray’s added element to the run game helped the offense hold the upper hand in the run game on a beautiful Bozeman Saturday with a smattering of fans in the stands and a collection of high school coaches on the sidelines, each in town for MSU’s annual coaches’ clinic. 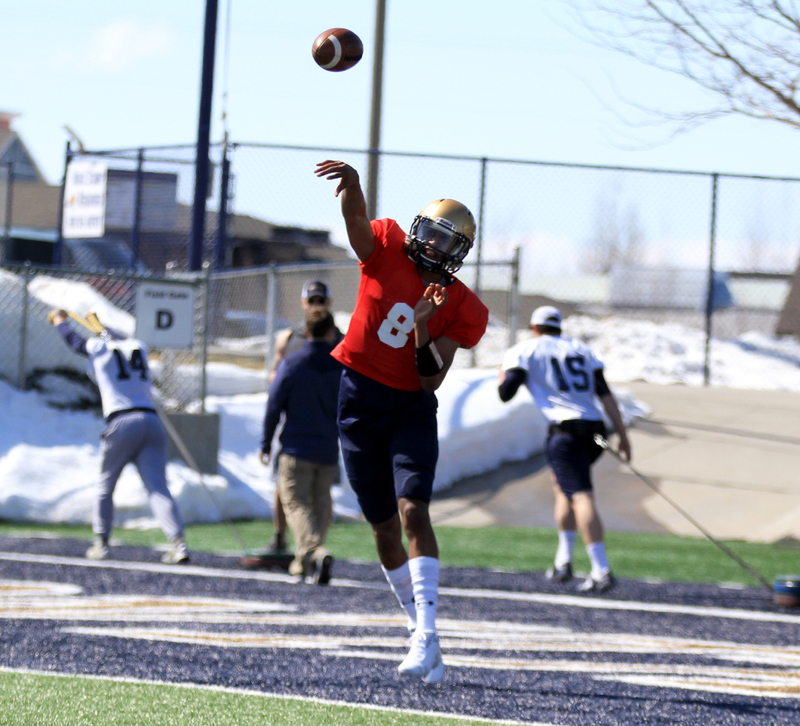 “My first take away is that we are out of shape,” said Choate, who’s team hasn’t been able to find a rhythm because of a particularly brutal Bozeman winter that lasted long into March. “It’s really difficult when you don’t get a chance to get out much. I thought our energy was really good. “I thought offensively, those guys came out and did some really good things. Quite honestly, the defense has been taking it to them for the last couple of days and the offense really responded well today. “I was a little disappointed with how we defended the run today,” Choate said. “That’s one of the things we’ve done really well and I don’t know if we brought the correct mindset in the front mindset in that regard. All eyes will be on the quarterback competition once again this off-season. Murray’s pending eligibility remains up in the air. If he can get straightened out in the classroom, he is the most experienced quarterback on the MSU roster. 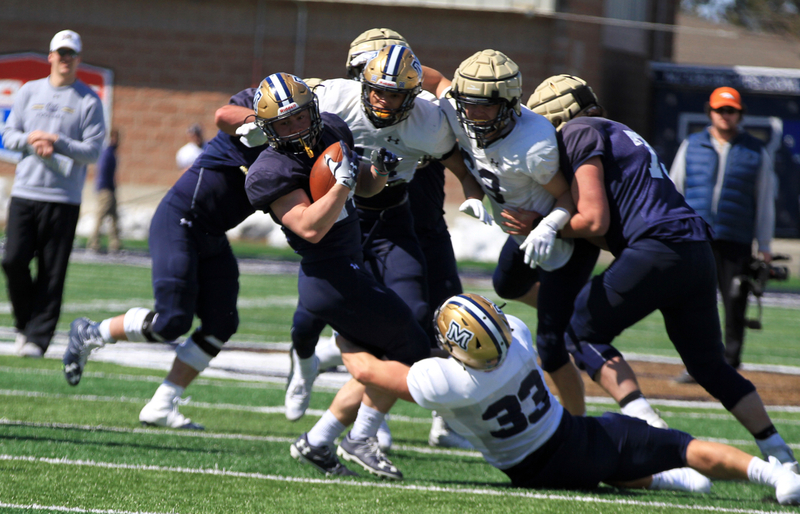 Troy Andersen, a unanimous first-team All-Big Sky Conference selection last season after setting a Montana State single-season record with 21 rushing touchdowns last season, will play linebacker full time with a smattering of offensive touches next season. He is not participating in spring football this year to ease the wear and tear on his body, Choate said. Sophomore Tucker Rovig and redshirt freshman Casey Bauman are the other candidates to start under center. 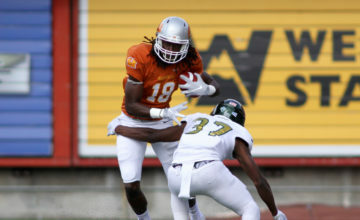 On Saturday, Bauman showed his prodigious arm strength on several occasions, including threading a back shoulder fade to tight end Derryk Snell for a long gain. Rovig, who struggled last spring with his confidence and his mechanics, looked back to his old form, throwing the ball with confidence and increased velocity. One of his best throws came on a roll out when he fired a dart into a window to sophomore Coy Steel for a long gain. 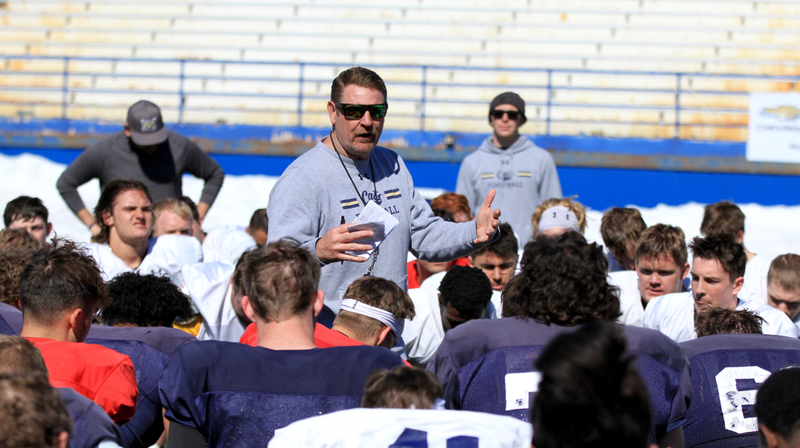 Choate has put a priority of keeping his players healthy this time of year. Any sort of ding or minor injury means a more limited group of players to choose from. That impacts the number of players available to Choate each day, which then in turn limits the number of repetitions each quarterback can execute. Redshirt freshman running back Lane Sumner, redshirt freshman Logan Kleinhans and sophomore running back Shane Perry all received oohs and ahs from their offensive teammates on the sideline because of sweet moves in the open field that left potential tacklers on their faces. 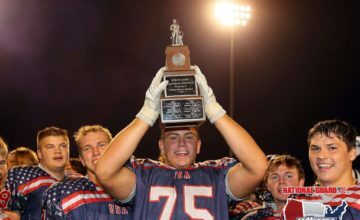 Jabarri Johnson, a 6-foot-4, 210-pound physical specimen who missed all of last season with a torn ACL, and recently anointed senior do-everything captain Travis Jonsen led the offensive cheering section on the sideline. Senior captain Kevin Kassis earned cheers from his teammates for a diving one-handed catch that proved to be one of the highlights of the day. 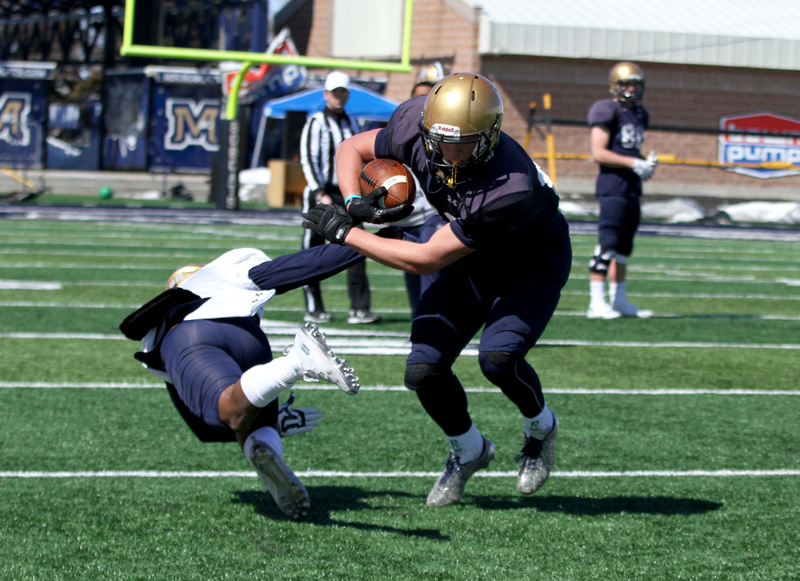 Montana State’s tight ends lose three fifth-year senior tight ends with the graduation of Curtis Amos, Connor Sullivan and Wilson Brott. The roster currently features just Davis, Snell, converted outside linebacker Jacob Hadley (who is sitting out this spring as he recovers from another off-season surgery) and redshirt freshman Treyton Pickering, a walk-on from Sunburst who missed last season due to a knee injury. Davis and Snell both showed flashes of being able to stretch the seam on Saturday. Andersen, Hadley, Johnson, junior defensive back Jalen Cole, sophomore defensive back Keaton Anderson, sophomore fullback R.J. Fitzgerald, junior offensive guard Taylor Tuiasosopo and senior inside linebacker Josh Hill did not dress out for the scrimmage. Junior inside linebacker Chad Kanow and senior cornerback Gregory “Munchie” Filer III wore red non-contact jerseys. During the opening red-zone period, Perry scored the first touchdown of the day from inside the 10-yard line. Sumner also scored a touchdown from about 15 yards out later in the scrimmage. Konkol, an All-Big Sky selection and MSU’s leading tackler last season, is now wearing No. 41. Four-year starter Grant Collins wore the number during his five-year Bobcat career. Junior defensive end Kyle Finch and another unidentified Bobcat defensive lineman shared a touch sack early in the scrimmage that garnered the biggest celebration of the day from the Bobcat sideline. Senior captain Derek Marks ran onto the field to celebrate with his teammates, as did defensive line coach Byron Hout. Choate, Snell and senior cornerback Damien Washington all tweaked their an ankle during the action. 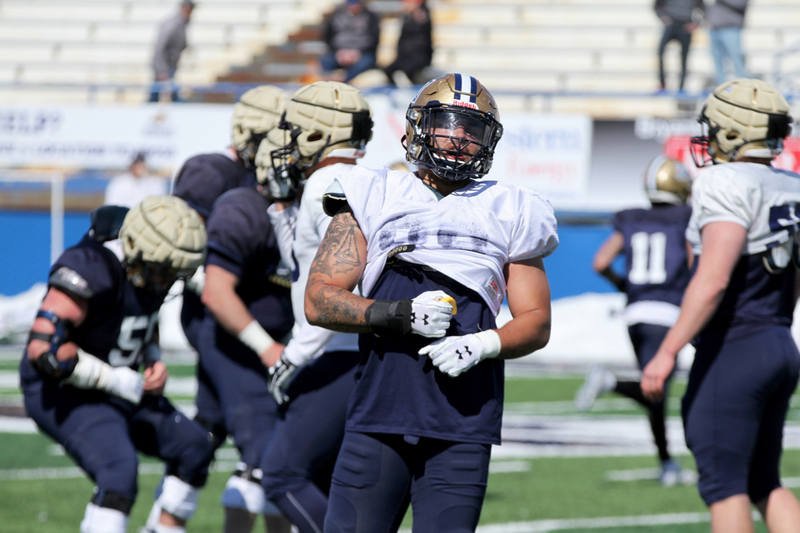 Junior college linebacker transfer Blake Flovin took snaps with Montana State’s No. 2 defense. Washington transfer Amandre Williams, who is wearing No. 89 because Choate said Friday he will be “a big part” of the MSU offensive, took snaps at Buck end with the No. 1 defense opposite Marks. Benson and Deines along with senior Bryce Sterk all took reps on the interior defensive line. Junior Michael Jobman, senior Walker Cozzie, Askelson, Jory Choate and sophomore Callahan O’Reilly all rotated at the linebacker spots with Andersen and Hill on the shelf. The loudest collective laugh of the day came when Bauman lofted a back-shoulder fade to the Southwest corner of the end-zone to redshirt freshman Peyton Hanser, who ended up in one of the sizeable snow banks after leaping to catch the overthrown ball.